Today I’m interviewing Kriss Royer, author of INNspiring Breakfasts and owner of the High Street Victorian B&B in Boonville, Missouri. Kriss is one of the sweetest people you’ll ever meet, and she makes an amazing cheesecake. I don’t think you can go wrong with any of her recipes, and I can personally attest to those chocolate pancakes with strawberry sauce – yum! How long have you owned a B&B? Is it something you’d always wanted to do? We have had the B&B for five years. We fell in love with B&Bs years ago and always said, “Someday we’re going to own one;” we thought ‘someday’ would be when we retired. But the opportunity to start was staring right at us when our children moved out and we had this beautiful historic home. We really began to think the idea through and ask ourselves some important questions such as, “Is the location good? Are we close to any attractions? Are we easy to get to? Is this a place people could relax and feel like they’ve gotten away? Is this home a place guests would want to come to?” And the answers were all positive: Yes, we are within walking distance of all the shops, antique stores, and restaurants. We are located halfway between Kansas City and St. Louis, and we are just steps from the Katy Trail and Missouri River, so the location is great! The Katy trail is a big attraction and there are over 400 properties on the National Historic Register just in Boonville alone. We are super easy to get to, right off Interstate 70. This old home is built so well that you don’t hear any outside noises, and the back garden has been described as the Garden of Eden, so I think people can relax and feel like they are somewhere far away. Guests love historic B&Bs, so yes, people WANT to come here. So as you can see, after answering those and a few more questions, we moved forward! How early in the morning do you have to get up when you have guests? We get up anywhere from 5:00-6:00 a.m., and sometimes earlier if we have guests that are riding the Katy Trail and want to get an early start to beat the heat of the day. Tell us about some of the features and amenities you offer – especially the new remodel! We offer free Wi-Fi, and delicious afternoon snacks and evening desserts. Each guest room is appointed with special amenities, including robes. The B&B is completely redecorated to reflect how it would have looked 133 years ago when it was first built, and it maintains many of the original features such as coal burning fireplaces, gas and electric chandeliers, and beautiful stained glass windows and pocket doors. There’s a relaxing parlor and library for guest use, too. The gardens and water garden and Koi pond with waterfalls are a wonderful place for guests to unwind. The newly completed pergola has become my favorite place to sit outside. Guests are always asking for my recipes and wanting to know how I prepared something. I also had a cooking show for a while and shared recipes on that. So I decided to write a cookbook and make my recipes available to everyone. Is your husband a professional photographer and does he often photograph food, or is this something new for him? Gene has been a professional photographer for 33 years. He has done quite an array of photography over the years, but this was a first for him! He loved shooting food to make it look as appealing as possible; however, I think it may have been a bit of a challenge to do it with the cook/wife standing right next to him! Are the recipes in your cookbook things that you cook often, or just on special occasions? I do cook them frequently for our guests. The pineapple boat is our signature dish and served to every guest. I chose their favorites to put in the cookbook. My favorite is the Tiramisu French Toast. Are the recipes easy to prepare, or does a cook need special equipment or ingredients? Can anyone make these? The recipes are very easy to prepare and no special skills or equipment are needed. Yet, they look wonderful, like a Master Chef prepared them! This is your first book – are you excited? What other books do you have planned or would you like to publish? This cookbook is the first in a planned series of INNspiring cookbooks. Yes, I have written a children’s picture book, and I have another children’s story filed away that I haven’t finished. I also have a short story about our trip to Russia and the places we visited there. And in the future, I plan to write the story of my daughter’s life. She has asked me a few times to write her story. She was adopted out of a life of abuse, terror, and neglect, but to meet her today you’d never, ever guess what she has been through. She is an amazing young lady, now traveling to other countries helping the poor and disadvantaged. 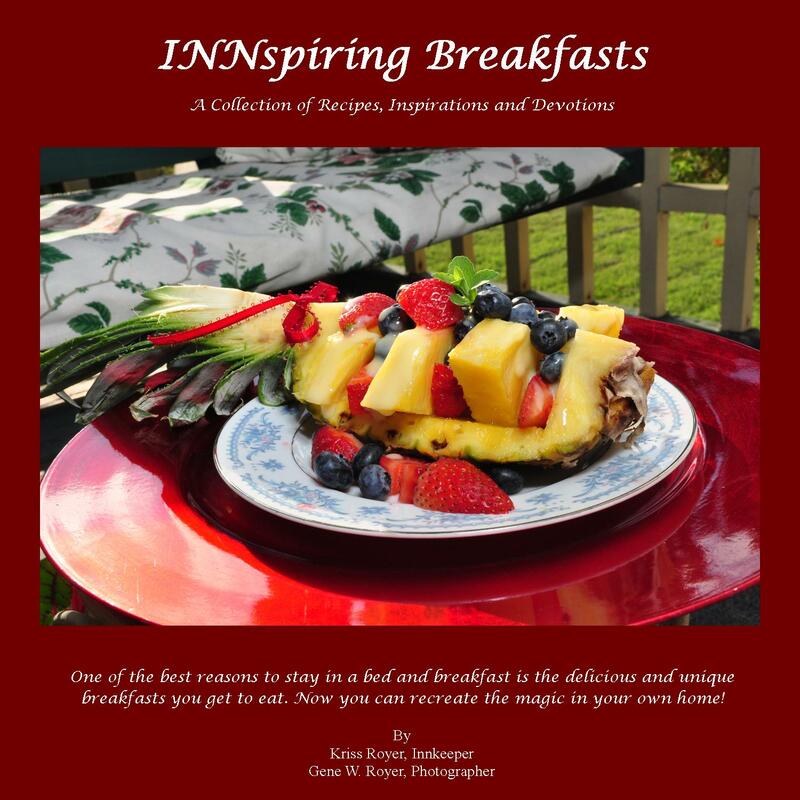 INNspiring Breakfasts is available on Kindle, as well as through Amazon, Barnes and Noble, and directly through Rocking Horse Publishing. INNspiring Breakfasts is also carried by Parable Books in Columbia, Missouri, and All on the Same Page Bookstore in Creve Coeur, Missouri. 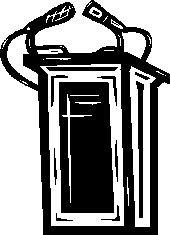 This entry was posted in Publishing, Writing and tagged author, blog, book, bookstore, buy, kindle, publish, RHP, rocking horse publishing, sales, sell, st louis, writer.